I made this cute Solar system 2-tier chiffon cake some time back. 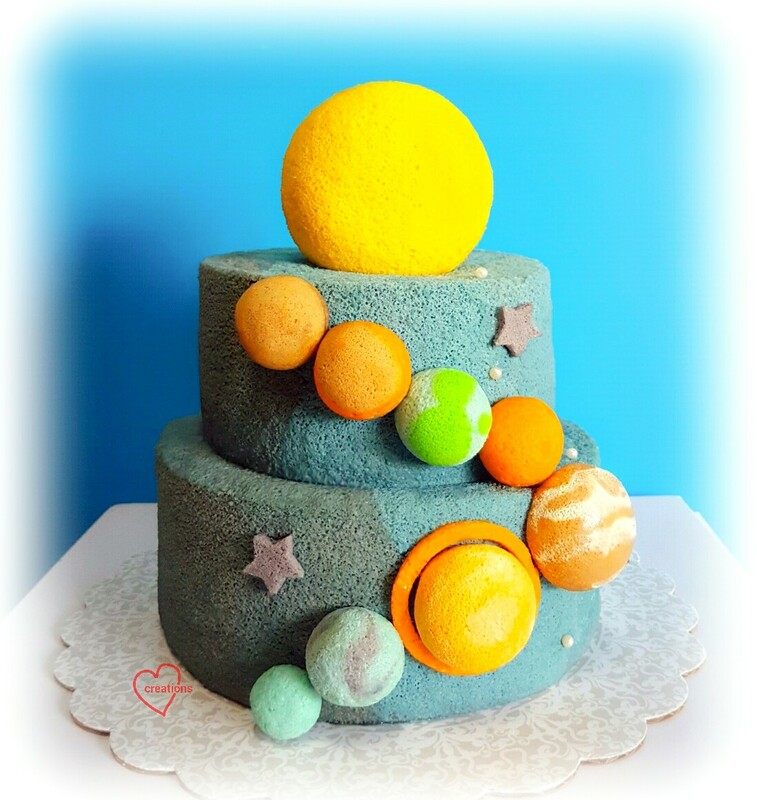 It got lost in my phone until I got reminded of it suddenly when a friend tagged me yesterday with a cute solar system cake! The two-tone cake and base recipe is similar to the Charcoal-blue pea flowers solar system chiffon cake I made for my son's birthday a year back, omitting the cinnamon powder. I deliberately made one side look like it was facing the sun, with charcoal chiffon on one side and charcoal with blue pea flowers on the other side. The planets are all cute mini chiffon cake pops sticking into the cake. I made them by baking chiffon cake batter (with marbling) in small cake pop molds. The solar system cake was actually in Deco Chiffon Cakes book to the last draft but taken out at the very last minute in favour of the chick chiffon =p.